Thanks very much for your response. I feel like we are drowning here so to hear that our pay rates are similar but housing costs are half is very reassuring. The only thing that would cost more in TN is sales Tax. Nj is 7% I believe TN is a little higher but when you put it all together I don't think sales tax will ruin us in TN . I see lots of rentals around 500-650 through out the state. Is that a normal rent in a decent neighborhood or is that going to put me in a bad place? Maybe I'm just not used to seeing low rents? Mine right now is one of the lowest in my area. Everything else in my area is 1200 and up. Are you looking at houses or apartments? In Cookeville, you'd be hard pressed to find a single family house for $500 unless it's a mobile home or a shack waaaayyyy out in the country. But you can find duplexes and certainly apartments for $500-650 no problem. You asked also about La Follette, Maynardville, and Harriman. They're nice little towns in beautiful areas, but if schools are an issue, avoid those places. Thanks for the info on those 3 towns. I've seen plenty of rentals whether its apartments or single families in Clarksville but you're correct its mostly apartments in cookeville. Which is fine I've done apartment living before. And going by Zillow... Which may or may not be completely accurate, those school districts seem good. They have higher ratings than my school districts so it seems like a def upgrade In the schooling department! A perk to living in Cookeville is that the school district has open zoning, meaning as long as there's room and you provide the transportation you can send your kids to any school in the entire county, not just the one you're zoned for, no questions asked. Clarksville is much larger than Cookeville (150,000 vs. 32,000) and is also home to a large Army base. A lot of the housing in Clarksville, particularly the cheaper stuff, caters to military personnel and their families. Not that that is necessarily a bad thing, but I've found that those kinds of neighborhoods and housing aren't generally the best. Your friends in Clarksville could probably tell you more about the area. So are we to understand that you could transfer your job to a facility in Tennessee with your same company? That would make moving a heck of a lot easier. Otherwise, the unemployment rates for Clarksville and Cookeville are pretty good: 4.3% for Montgomery County (Clarksville) and 4.2% for Putnam County (Cookeville). Both cities are growing and have a lot of manufacturing jobs in the pipeline: 1,800 jobs at a new Hankook tire factory in Clarksville, and 2,000 jobs in Cookeville at Academy Sports + Outdoors, Ficosa automotive, and TTI Floorcare (Hoover, Oreck, Dirt Devil). I bring up those stats only to illustrate that, unless things change drastically, it shouldn't be too hard for you guys to find jobs although you would still be wise to not move until at least one of you has found a good job and you have some cash saved up. And while I'm not suggesting that you guys should look into manufacturing jobs, the influx of those thousands of manufacturing jobs will spawn other businesses such as more restaurants, shops, convenience stores, banks, dry cleaners, clinics, etc. Wow that's some awesome info! i dont know of anywhere in nj that the schools are like that like cookeville. My town I believe is about 20k now. That's interesting about the military base and Clarksville. I live about 45 minutes from a base and the area is kind of "dumpy" and I noticed that in 2 other states I visited bases the surrounding town was also run down. My job could transfer to eastern tn, which I could live with if it meant "getting my feet wet" so to speak in a new state. I'm glad to hear the job market is picking up speed in Clarksville and cookeville! I'm not picky so long as its feeds my kids. I've been a cna for a total of 9 years so I wouldn't mind a different job! Our sales tax is high, however, when you add in all of the insidious taxes in New Jersey the state is lousy with taxes jumping at you from everywhere. In fact, it would be one of the reasons that rentals are much higher. 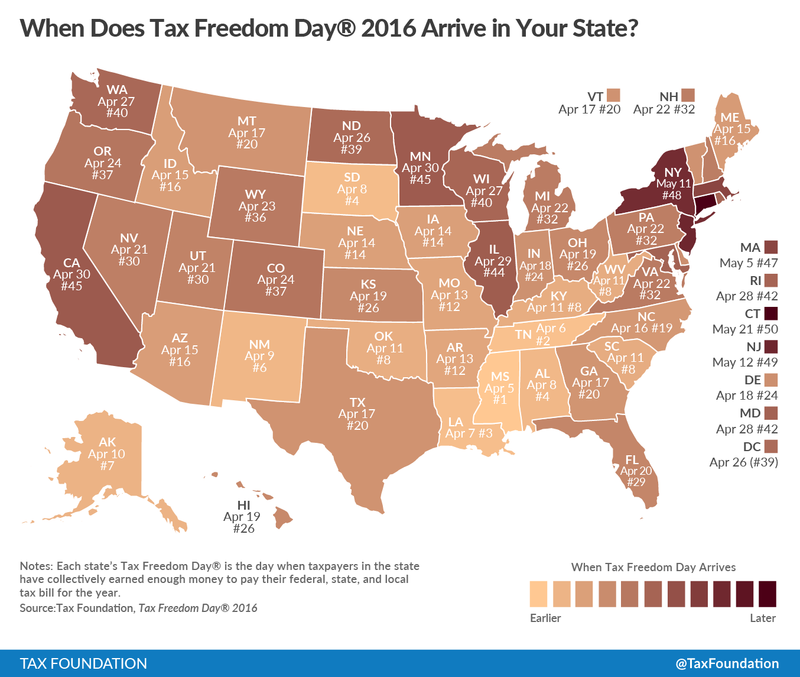 To break it down, Tennessee is second in tax burden and New Jersey is 49th. And here's some more information for you. Good morning! I posted about a year ago that my family and I were going to be trying to make the move to Tennessee this summer!!! It looks like there is a very high chance of that happening!!! Last night I thought I'd research the school cut off for kindergarten since I know school starts in august in Tennessee. Here in jersey it's between September 4-8 usually. The birthday cutoff here is October 1. My sons birthday is end of September so he just made the cut off. He will be finishing kindergarten in June and we plan to move in July. I read that tennessees cut off is august 15 for kindergarten. My question is this: will he need to redo kindergarten since he doesn't meet. Tennessees age requirement? im worried if he needs to redo it, he might get bored since he's already done it. But socially/emotionally he might lag behind his classmates being the youngest so a second year of kindergarten might not be so bad. Thanks for any insight you can give me!! I can't see any reason they would want him to repeat kindergarten if he has already successfully completed it in another state. Best bet would probably be to contact the school board in the county or city you think you will be moving to and get the info directly from the horses mouth. I'm back for more advice please!! My fiancé and I are visiting in 18 days. But who's counting?! Anywho, we are so excited. The most important question is: where can we go for the best BBQ!! ?